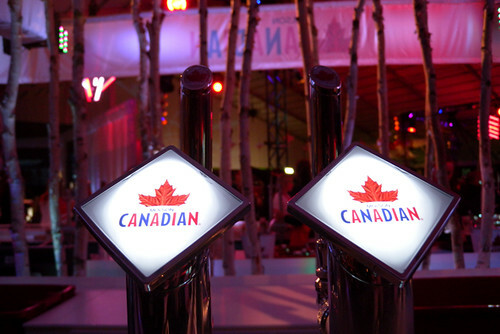 Molson Canadian Hockey House will be a refuge, a retreat, a party zone, and a hub for all things hockey during the Vancouver 2010 Olympic Games. 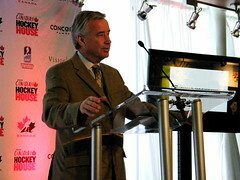 The House will host players, teams, fans, VIPs and delegates throughout the course of the Olympic activities in 2010. 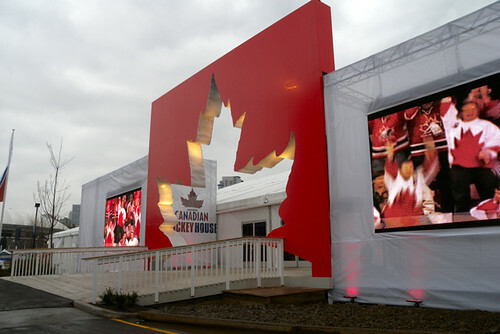 The Molson Canadian Hockey House will be in operation from 11:00am until 2:00am every day and opens to the public from February 12 until February 28, 2010. Multi-day VIP passes went on sale this morning and although they cost a pretty penny there are still three levels of ticket options (bronze, silver and gold). 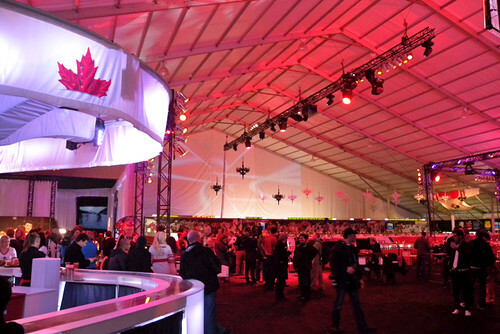 The Bronze package includes the Opening Ceremonies on Day 1 (February 12th) for $495. If that’s out of your range but you would still like to take part, they are also looking for volunteers to help host the Hockey House. You can follow @Hockey_House on Twitter for updates. I have received word that MCHH is selling pretty well so far with VIP passes completely sold out when Team Canada plays Team USA in the Olympic tournament. 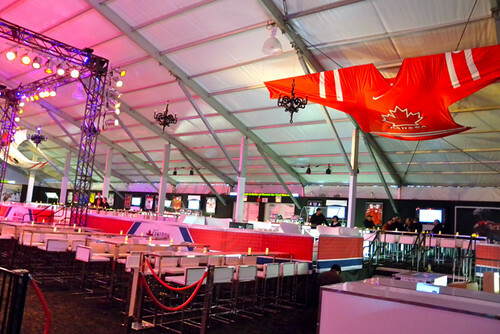 Spots to hang out at the Hockey House during Other Team Canada games are still available as well as FAN ZONE passes, which start at just $99. 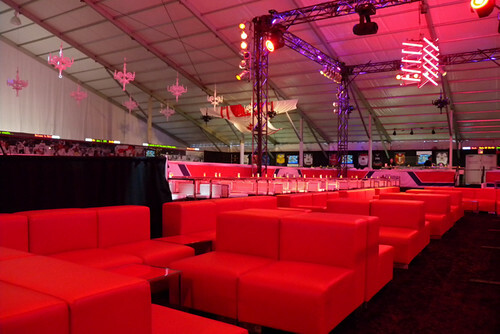 The FAN ZONE passes aren’t as exclusive as the VIP obviously, but you get access to the lounge, a great hockey-watching atmosphere, food, and two complimentary beverages (with many chances to purchase more from any of the bars after that). Along with other events and entertainment there will also be a Gretzky Tribute Night on February 19th. It has also been confirmed that “The Great One” will be in attendance. Since the price has dropped to $99 for the Fan Zone the website is slammed today with ticket orders. You can still get your tickets by calling 1 866 523 8959 if you can’t get through online. 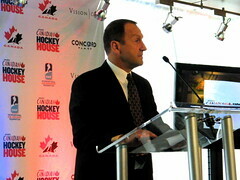 The Molson Canadian Hockey House opened up for media today with special introductions from Tyler Stewart and Sean Cullen. I didn’t spend much time inside between events but I’ll be there on Friday to catch the opening ceremonies from this mega hockey & beer haven. Does the Hockey House want their own in-house photographers? 😉 I’ll just go around all day taking photos of the festivities! Not to sound unduly chauvinistic, but I would like to understand the methodology of how Molson CANADIAN chose Wolfgang Puck as their food purveyor. Does anyone know if there is an age limit for this event? @Deb I’m pretty sure you need to be 19+ (legal drinking age) to be there. Do you need to pre-buy tickets? If there is a cover to enter how much is it? What time does it go till? Would have been better without the underscore. I am writing to comment on the complete LACK of communication from the Molson Hockey House, myself and 11 others purchased VIP tickets on Jan 22nd and have yet (other than an email) to have any of our 10 messages and upmteen voice mails returned, we still haven’t recieved our passes and I continue to wonder if this place exists…. The event is on Monday and I have nothing to get me into the venue but they have the money…… all help and advice would be appreciated….. I suggest going down there with ID…. they’ll want the phone number you gave date purchased, and the name you gave …we too got our passes very last minute. Chin up …it’ll workout …they know they have been unorganized!